During the past year, a small team of volunteers from the trust's research group has been scouring archives across the capital to uncover the role that london's parks played during the first world war, and to understand the legacy of the war on the parks. Very early on we realised that there were few, if any, secondary sources that looked specifically at parks during the period. 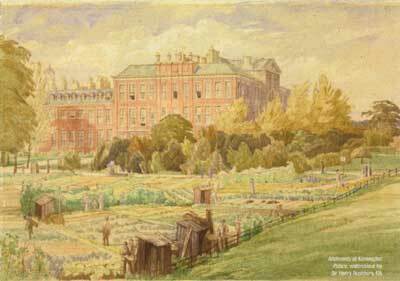 From the National Archives at Kew and the Imperial War Museum to local archives such as those in Camden, Westminster, Lambeth and Haringey, and of course the London Metropolitan Archives, the LPGT researchers have been assiduous in piecing together the story of London's parks. Many other archives not readily associated with parks, such as those at the British Postal Museum, the Inns of Court and City Yeomanry Museum, have also been consulted, and local and national newspapers trawled through. Meeting regularly at one member's home, and fortified with delicious homemade snacks, we shared our discoveries, sources and stories. 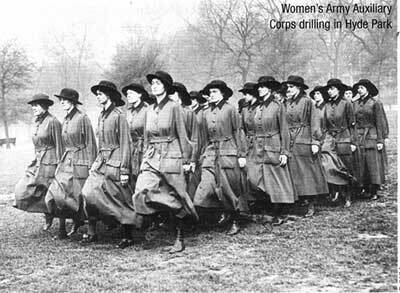 The First World War was the first in our history to have a deep impact on every aspect of government and civilian life. It soon became clear the war would not be 'over by Christmas'. As Britain mobilised to wage Total War, space in London was at a premium. Space in museums, in clubs, in hotels, on rooftops, in private houses - every available space was used for government purposes, and London's parks and gardens were no exception. In fact the parks became scenes of intense activity, although there is scant evidence on the ground to show for it now. The first Blue Guide to London in 1918 describes how parks and public gardens were entirely changed by the erection of temporary buildings for Government purposes. The lake in St James's Park was drained and in 1916 the Ministry of Shipping buildings were erected on the lakebed, providing a new game for children who rolled down the grass bank to simulate drowning in the imaginary water at the bottom. In Regent's Park, the Army Postal Services erected reputedly the world's largest wooden structure to handle the millions of letters and parcels for the forces at the front. For thousands, the parks became their place of work rather than recreation. 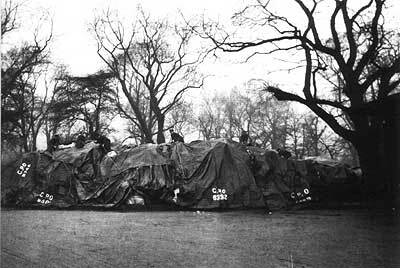 London's parks were used for camps and military training, anti-aircraft gun stations, experimental bombing grounds, and perhaps more unusually, at Kensington Gardens the emerging science of camouflage was tested to its limits. Meanwhile, Alexandra Park and Palace accommodated firstly Belgian refugees followed by interned enemy aliens. Some parks were ploughed up for agriculture and allotments were created in others, as the German U-boat campaign started to bite, even fish were taken from park lakes. As the war dragged on, London's parks were used for the rest and recreation of military personnel, those on leave and those wounded, and for those entrusted with their care. 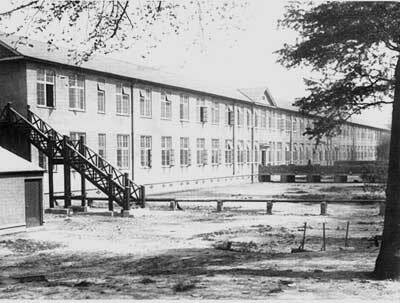 In some of the larger parks, hospitals were set up, such as the South African Military Hospital in Richmond Park and St Dunstan's Hostel for Blinded Soldiers and Sailors, which is now the site of Winfield House, the London residence of the US Ambassador in Regent's Park. Naturally, economies needed to be made in the parks during the war. Music and regimental bands, so popular pre-war, were now curtailed, and 'bathing lakes' either closed or operating reduced hours. Expenditure on spring bulbs was cut, and in some cases flower beds grassed over. The RHS, fearful for the horticultural industry if orders for the Royal Parks were cancelled, petitioned the government, but to no avail. The conclusion of hostilities did not immediately see the demobilisation of the parks, and the delay caused public outcry and questions in the House of Commons. Gradually, however, the parks were reinstated, and returned to civilian use for the benefit and enjoyment of the public, often with increased provision of sports. The research team continues to examine this fascinating but little-researched period in the history of London's parks, which can be seen as a mirror reflecting wider events of the period.